JV Tierney are delighted to be part of the Design Team headed by Coady Architects for the new 3,442m2 Clinical Education and Research Centre (CERC) at University Hospital Limerick for the HSE and UL which was completed in December 2016. 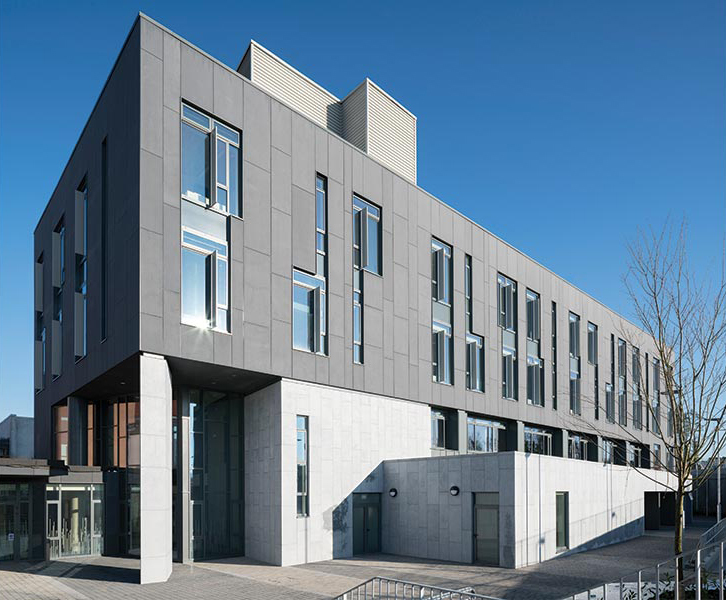 CERC is one of the first public works project in Ireland which has used BIM Level 2 deliverables from design through construction and on to handover. It was decided to develop the project from inception in line with PAS 1192-2 to BIM Level 2 standard. This required all members of the design team to conform to a BIM Execution plan from the outset. This forward planning ensured that the project team were focused on understanding and meeting the Client’s end user requirements through a process of “beginning with the end in mind”.